Maybe you’re a newbie, maybe you’re a veteran homeschooler, or maybe you’re “just looking”. Either way, these websites will help you find whatever you’re looking for! We have several favorites, so it was difficult, but we narrowed it down to 25 Sites to Get You Started With Homeschooling! 1. HSLDA – Before you start, check up on the laws in your state. 2. SheKnows – Review several styles of learning and teaching. 4. Letter of the Week – Great curriculum to start preschoolers on! 5. Typical Course of Study – WorldBook has been a great resource for us for many years. 6. Writing Prompts – Not sure what to teach yet? Just start by getting them to write! 7. A Book in Time – Chronological list of historical fiction and non-fiction books + lesson plans … great resource! 8. Paula’s Archives – Resource for all grades! 9. Spelling City – a “must use” website for spelling! 10. Donna Young – Amazing organizational site for homeschoolers. 11. Living Math – Resource to keep kids interested in math. 12. Book Lists by Reading Level – in case you need new books for the kids to read! 14. Enchanted Learning – This is one of my favorite sites. Great for PreK-3rd grade. 15. Learning Things – Books based on grade level. 16. Easy Fun School – Free printables, unit studies, and more. 17. 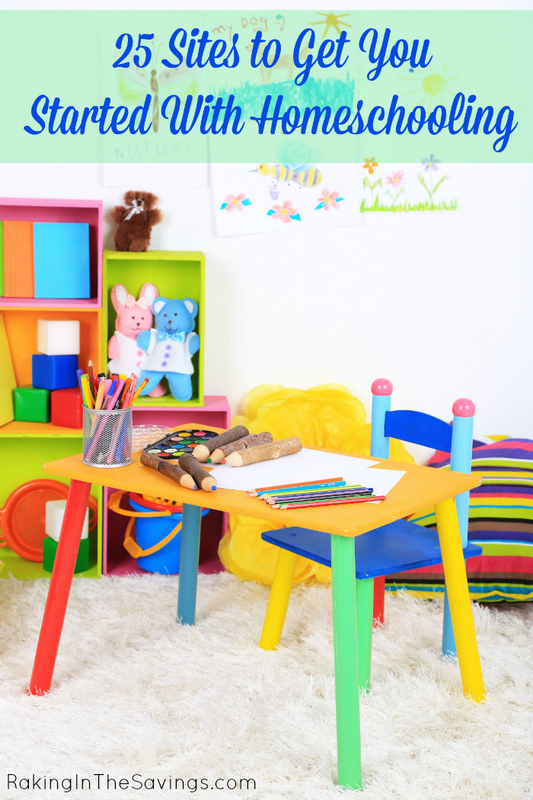 A to Z Homeschool – One of the very best homeschooling resources! 18. Academic Earth – Video lectures on subjects like biology, business, and more. 20. Dad’s Worksheets – Over 6,000 free math worksheets. Great resource! 24. Starfall – Very popular site for younger kids to learn how to read. Interactive. 25. Free Rice – Donates rice for each answer you get right. What’s your favorite free homeschooling resource? Next article: Daily Coupon Round Up! Did You Miss Any?